Meet Hilary Barr, a Senior Reputation Specialist at BrandYourself. She’ll explain how long it takes to see positive results after creating an online property (like a website or profile), and some of the factors Google analyzes when ranking search results. First let’s first define “seeing results.” Seeing results does not necessarily mean that your negative result (if you have one) is buried off the first page. Seeing results means a few of our sites and profiles are ranking within the first three pages of Google. Because of the way Google works, it usually takes four to six weeks for a newly created site to show up in Google. As a Reputation Specialist at BrandYourself, I give my clients a monthly screenshot of their first three pages on Google to track progress over time. If your new properties are ranking anywhere within those first three pages the first 6 weeks, that is a great sign. If not, there is still plenty of time for them to get there. It takes time for sites to gain authority (which we build by creating high quality original content and updating your sites for you), and if we want them to outrank any negatives permanently, that has to be done over time in an organic way (instead of in a burst all at once). After that, it can take anywhere from four months to a year and sometimes longer to get them to rank above a desired negative. Why is this range so large? 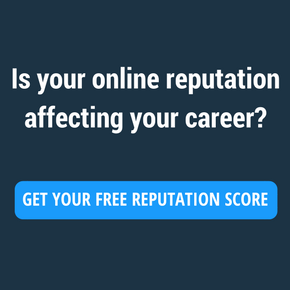 There are many factors at work affecting your Google Search Results. I will break it down into three categories; Previous Online Presence, Unique Search Term, Authority/Activity on Site. Previous Online Presence: First, do you already have a strong presence? If you work for a company or as a client, or you are a company that has multiple sites that appear for your name, it will most likely take a greater amount of time for our sites to gain more authority than the ones already ranking. If you are a company, Yelp, Angie’s List, the Better Business Bureau, City Search, and Home Advisor are all examples of sites that have a great amount of authority. It can take months for our sites to outrank those sites. Unique Search Term: Second, what is your search term? Let’s look at the difference between “John Smith” and “Pocahontas.” For the search term “John Smith,” Google yields about 1,090,000,000 results. For “Pocahontas,” Google yields about 24,700,000 results. (You can find this number beneath the search bar, above the results, in gray). There are over 44 times the results for “John Smith” as there are for “Pocahontas!” If your search term is quite a popular term, it will most likely take longer for you to see results. Does anyone have a search more popular than John Smith? Authority/Activity on Site: Third, the authority of a site will affect how long it takes to see results. For a site to have authority in the eyes of Google, it must be updated regularly, have original content, and have little to no spammy backlinks pointing towards it. A site that is updated twice a month rather than once a month will most likely rank higher faster. One way to check if your content is original is to use a plagiarism checker on Google. This tool (http://smallseotools.com/plagiarism-checker/) is a great way to make sure the content going on your site is original. And finally, spammy backlinks are profiles or robots that link to your site. It is best to refrain from non-humans or cheap sites that will offer to give your site a million links or a million likes. If the content on your site is good and original, you will gain likes organically. This is something that changes slightly with every Google update. However, the part that almost always remains true is that Google wants to provide the most relevant, authoritative, and engaging content for each search term. Relevant: Relevant means content directly related to a specific topic. If you have a site about nutrition, make sure there’s lots of relevant content about nutrition. If someone searching to learn about nutrition stumbles upon a site that has some nutrition information on it and some business information, they may not revisit that site. Authoritative: Google wants to provide authoritative content to searchers. So it is more likely to rank sites high that it trusts – like Google properties and other well known sites including Google+, Youtube and Blogspot. WordPress, LinkedIn, Facebook and Twitter are other well known, trusted sites. Authoritative also refers to sites that are supported by other trusted sites. Sites that have thousands of low-quality backlinks will not be trusted as much as sites that have fewer high-quality links. Be sure not to fall for advertisements claiming to give you hundreds of backlinks – thanks to several Google algorithm updates, quality matters, not quantity. Engaging: And finally, make sure your content is engaging. Any time you post something to your site, ask yourself: would you want to read or share it? Is it well-thought out, clearly structured, up to date and worth sharing on social networks? Remember that Google’s goal is to show people webpages that searchers will actually find useful. The more you write great content for people – and update that content to keep it current – the more engaging your site will be, the more people will naturally share it, and the higher it will rank. Keep in mind that we will never know Google’s specific algorithm. If you knew it, you could “game the system” and choose which search results should rank where. That will never be the case, but we do know that relevant, authoritative and engaging content will always perform better because that’s what searchers want to find. Google also updates its algorithm hundreds of times a year to improve its ranking system. For example, Google’s “Panda” update favors high-quality, original, and fresh content. This had an impact on the ranking of many news sites because they constantly publish original content. If you have noticed a news site changing positions up in your rankings, it could be Panda at work. Another recent update, Penguin, looks at the backlinks to a site. If the site is backed by thousands of low-quality links (like fake blogs with little or no content), the site will not be seen as important, but rather, it may be seen as another low-quality site that does not need to rank. If it’s linkde to by a few high quality sites (like CNN or the New York Times) then it will probably rise higher in rankings. So remember to keep your content relevant, authoritative and engaging! 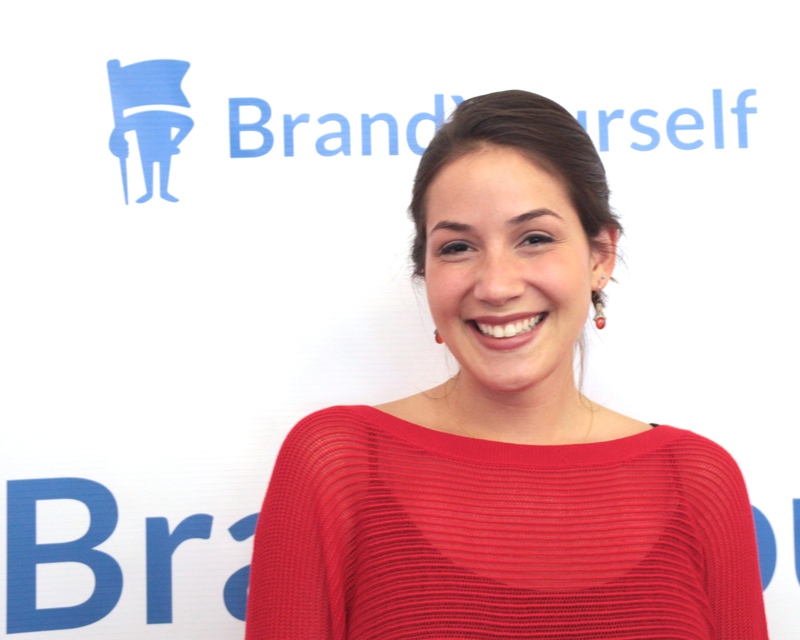 What is your favorite part about working at BrandYourself? I look forward to work every day because of the awesome BrandYourself team—the team is wholesome in that each employee is intelligent, has something completely different to offer, and always manages to get in a few giggles throughout the day. I also love the current, cutting edge nature of this job. As technology changes, we are also constantly updating our methods in order to provide the best services possible. When I’m not at my desk, you can find me playing Ping-Pong against co-workers, on my yoga mat, dining at a Thai restaurant, or checking out live music wherever that may be. If you could be one fictional character from anywhere, who would it be? The little mermaid! Ariel defies her parents to follow her heart – and she’s a mermaid. That’s what I wanted to be when I was a little kid. To learn more about Hilary Barr, visit her BrandYourself Profile.